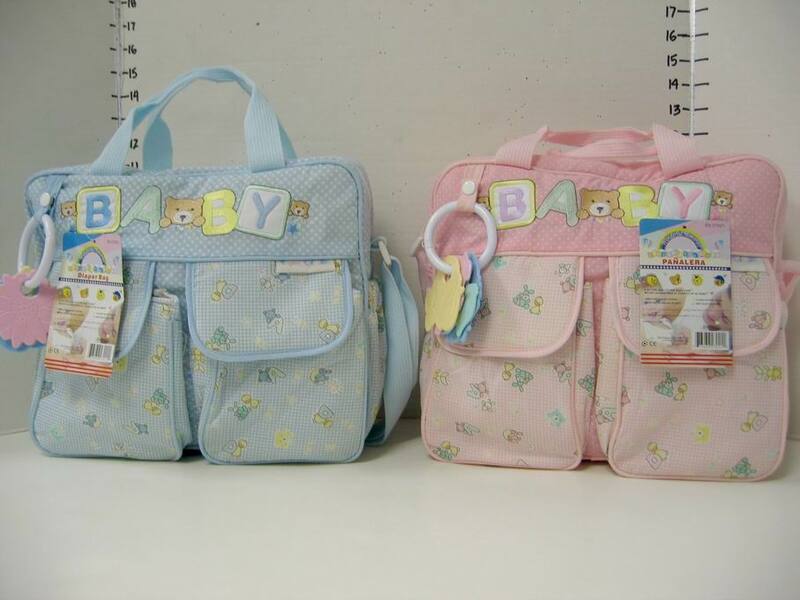 This cloth diaper bag is available in pink, blue, yellow or mint green. 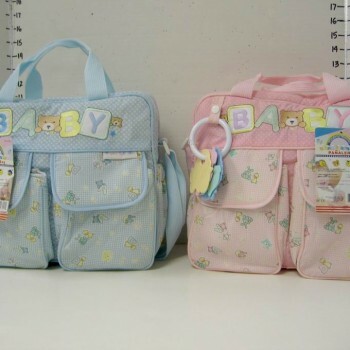 We chose to fill this bag with something for baby and the parents. Inside you will find a teddy bear receiving blanket, a box of truffles, cookies, cocoa and chai tea. Side pockets have biscotti and coffee. 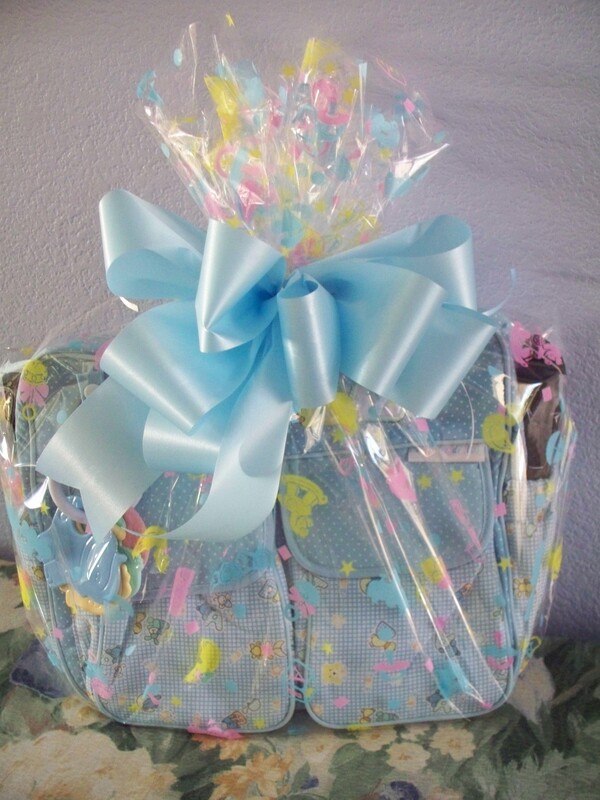 Your gift is wrapped in baby print cello and tied with a big hand made bow. 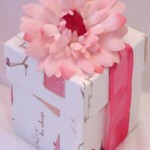 This gift is fully customizable. You can add cheese, crackers, wine or champagne. Give us a call and let us know how we can help you. 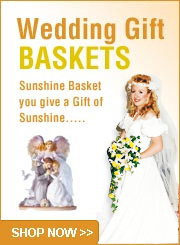 Sunshine-Baskets Hand Delivers in Las Vegas Only. All other orders will be shipped using Fedex. 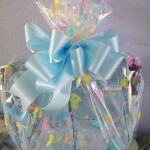 We deliver locally in Las Vegas and surrounding areas up to 30 miles away. Same day local delivery is available on Holidays but you must call your order in before 11:30 . PST. Place your order in the morning and have it delivered the same day. For delivery scheduling, it is necessary for us to have the telephone number of the person(s) we are delivering to. 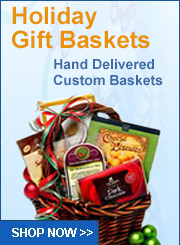 Please provide us with that number when placing your gift basket order. 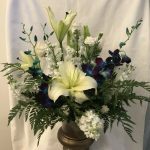 Our delivery fees range from $13.00 to $ 30.00 depending on distance. Most deliveries are in the $13.00 zone. Please be advised that we are required to charge and pay sales/use tax for goods and services delivered in the state of Nevada. Deliveries shipped out of the state of Nevada are not charged sales tax. This sales tax is paid to Clark County. Delivery to all hotels/casinos have a $3.00 fee included so the delivery fee is $16.00. Our fee of $16.00 is delivery to the hotel. The extra $3.00 is a hotel charge. 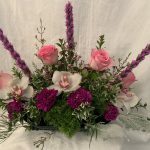 Due to hotel security we are not allowed to personally deliver baskets to the guests rooms and we are required to leave the package at the bell desk. These rules are not ours, but the casinos rules. 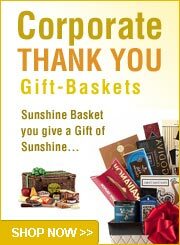 Corporate customers are asked to follow up with the hotel bell desk on orders of more than 5 baskets if there are any questions concerning delivery of multiple baskets. It is important to know that the hotel/casino leaves a voice message for the guest that there is a gift for them. The guest must telephone the bell desk to arrange for delivery of the basket to their room. In most cases, the hotel is not permitted to enter the guests room without their permission, and they are not allowed to disturb the guest when the " Do Not Disturb Sign" is placed on their door. 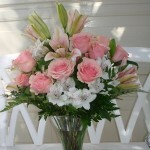 The guest is responsible for replying to the phone messages left by the hotel so that delivery to the room can be made. The guest also has the option of picking up the gift from the bell desk. We do not have control over the hotel delivery systems, so it is important for the guest to communicate with their hotel.